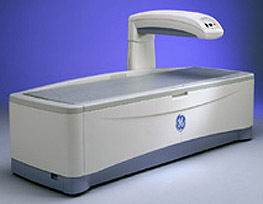 We provide whole body DEXA scan imaging and Bone Mineral Densitometry services using the latest DEXA machine, from GE Healthcare. Full range of services at the best price ranging from single site DEXA scan, two site, three site, to four site DEXA scan and whole body DEXA scanning services. Rate list for Bone densitometry (BMD) or DEXA Scan (Dual-energy x-ray absorptiometry) investigations offered at Dr Mittal's Diagnostic Centre in Delhi is provided below. It is commonly used to diagnose osteoporosis, measure bone loss, and assess an individual’s risk for developing fractures. For more information on DEXA scans, please visit the More info about DEXA Scan page using the link below.